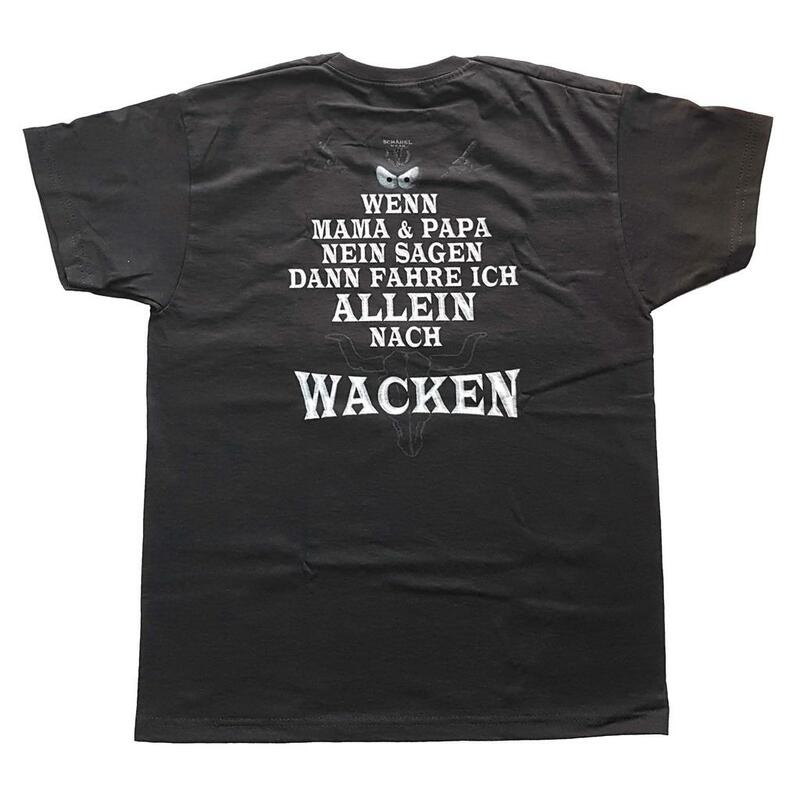 Who needs mom & dad to visit Wacken? 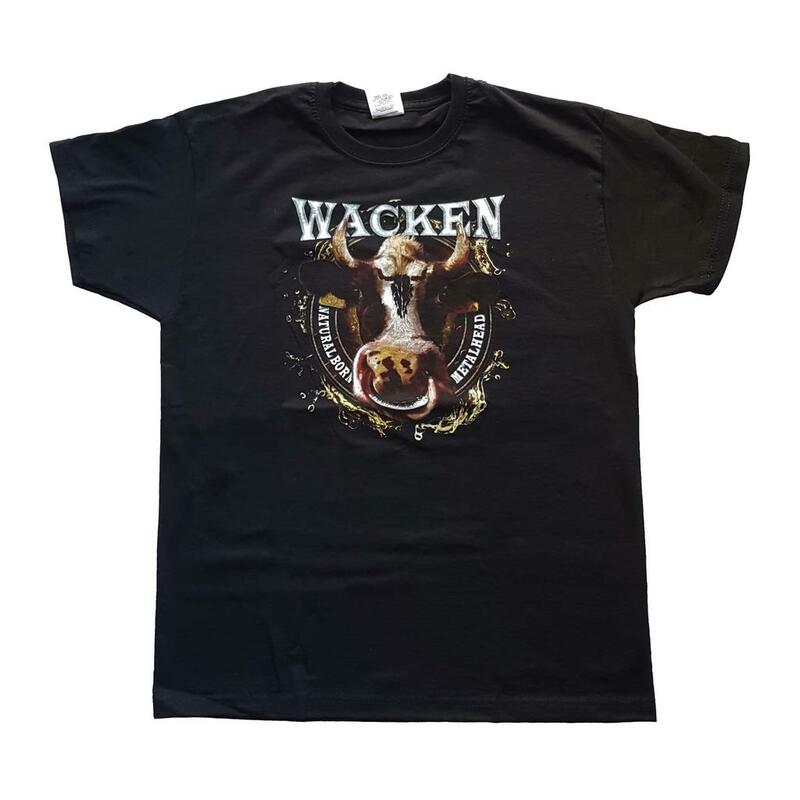 A real "Natural Born Metalhead", as it says on the front of the Kids T-Shirt, can do that on his own. 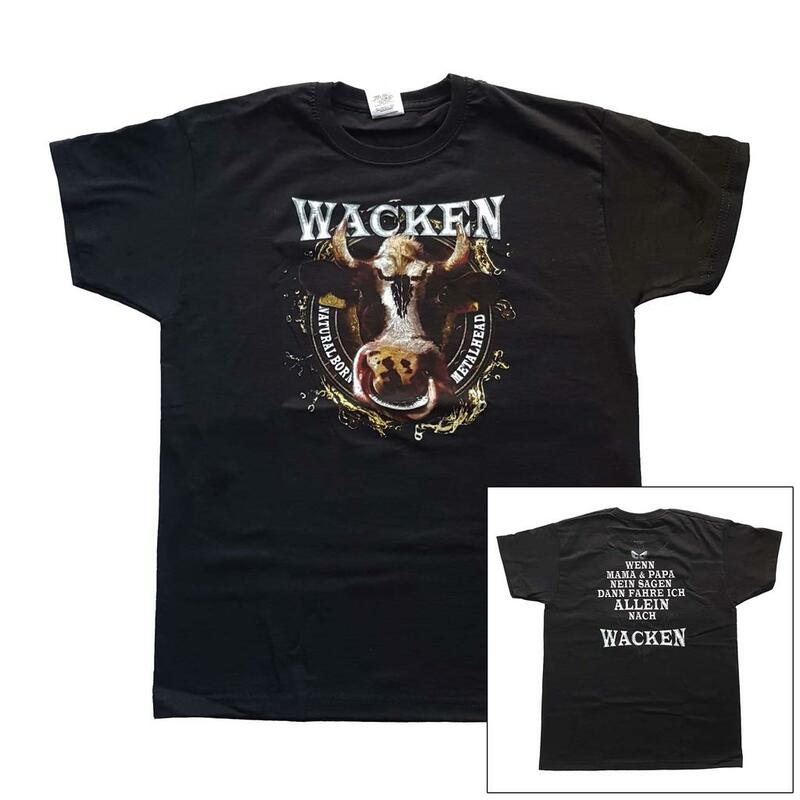 The "Wacken" lettering and the cow with a bullhead branding on the forehead make the Shirt an absolute eyecatcher and the slogan "If Mom & Dad say no, I will drive to Wacken alone" on the back side rounds out the design of the Shirt.